What’s your favourite book series you ever read in your childhood? The Great Brain, but I loved Laura Ingalls Wilder’s books, too. Happy Hollisters, the Three Investigators, and Hardy Boys. The Miss Piggle Wiggle books! Not a series, but an author: VC Andrews. Nancy Drew, The Hardy Boys, and (UK folk will know what I mean) the Annuals (Bunty, Beano, et al). Enid Blyton’s Five Find Outers, Famous Five and The Secret Seven, The Three Investigators, and the Narnia books. Series of unfortunate events. I just loved it. Nancy Drew, Little House, Lad A Dog. Tarzan series was a favorite of mine when I was young. I had the complete series, which was quite a load of books! Amber Chronicles by Roger Zelazny and Dragonlance. Everything Enid Blyton, especially Mallory Towers and The O’Sullivan Twins. The Miss Piggle Wiggle books and Nancy Drew. Haven’t thought about The Five Little Peppers in years. Not a book series but Louisa May Alcott – Little Women, Little Men, Under the Lilac Bush, Eight Cousins, Jack and Jill, and Old Fashioned Girl. Varied with my age, but the ones that come to mind quickly are Laura Ingals Wilder Little House Books, the Mother West Wind Books, Nancy Drew and Annie of Green Gables. I read and loved every single Nancy Drew mystery. The sweet memory isn’t just because I loved the books, but also because of the golden memories surrounding the reading. Like when the librarian at the Hankinson Public Library…open only Tuesday and Thursday afternoons…not only gave me a library card for when I visited my grandparents, but also let me check out ‘extra’ books to get through from Thursday to Tuesday. And…all those times my parents assumed I was asleep…well, let’s just say I went through lots of flashlight batteries. Fear Street…anything by Christopher Pike and the Scholastic/Point Horror books. Anne of Green Gables and Betsy-Tacy! Mission Earth. A ten book adventure series by L Ron Hubbard. And Battlefield Earth. Amazing entertainment I intend to revisit. My sister used to read the little sister series. I think her name was Karen. I am several years older than my sister, but got so desperate for reading material, I actually read a few of these. Little House on the Praire. Those books made me a reader. As I got older, Nancy Drew. Not a series, but I read every book my reading level by Lois Lenski I could get my hands on. I loved Harry Potter and Nancy Drew. Little House, the Happy Hollisters, Nancy Drew, the Hardy Boys…I still love mysteries! Nancy Drew mysteries. I still have my collection of the first 50. Little Women, Little Men, Jo’s Boys. Arnold Stark Lobel- Frog and Toad books, Judy Blume-Tales of a Fourth Grade Nothing and Beverly Cleary The Henry Hudgens collection. Anne of Green Gables,Nancy Drew. Mrs.Piggle Wiggle or The Little House on the Prarie. I loved those Bobsey’s, too. The Hitchhikers Guide to the Galaxy quadrillogy. For I am a hoopy frood who really knows where my towel is. Anne of green gables, little house on the prairie, Nancy drew, hardy boys, multiple cheesy knock offs of Nancy drew. Add the Hardy Boys & we will be twins! Royal Diaries. Written from the perspectives of a real historical princesses from around the globe. The Abbey Girls, The Chalet School, Anne of Green Gables, Little Women, and more! As a young child? Nancy Drew. Bobbsey Twins. All the Trixie Belden books😁! Lloyd Alexander’s – The Chronicles of Prydain. My intro into fantasy books. I remember my father gave me The Cat in the Hat when he returned from a trip. Loved it!! Little House. Nancy Drew. The Hardy Boys. Trixie Beldon. Milly Molly Mandy. Judy Blume. The Brain. Ramona. Sweet Valley. Babysitters Club. Bobsey Twins. The Choose your adventure. Nancy Drew, the Bobsey Twins and Uncle Wiggliy At different times in my childhood. I loved Uncle Wiggly! You never hear about those. My children enjoyed these. I read along with them! The Laura Ingalls Wilder books! Nancy Drew , Chronicles of Narnia, Chronicles of Prydain and then, later, The Lord of the Rings. Enid Blyton Secret Seven and Famous Five. Not even gonna lie. The Babysitters Club. Beverly Cleary & Judy Blume books, The Babysitters Club, Sweet Valley High series, Anne of Green Gables, I read so much when I was young! I even read A Catcher in the Rye and Stephen King when I was probably too young to understand a lot of it! Phyllis Reynolds Naylor’s Shiloh books, Anne of Green Gables series, and when even younger, I loved Thomas Brezina’s Seven Paws for Penny. Anne of Green Gables – I still try to re-read all 8 books every year or at least every other year. The Lonely Doll Series by Dare Wright….. I recently read a book about the author. Nancy Drew, Cherry Ames, Vicki Stevens. Pippi Longstocking, The Boxcar Children, Encyclopedia Brown mysteries, anything by Madeline L’Engle, Little House on the Prairie. Nancy Drew, and Chronicles of Narnia. I forgot about the Cathy Leonard books, Ginny and Geneva, and Betsy….loved all those as well! Anything by Tamora Pierce! Also, you NEED to read these books: Half Magic by Edward Eager! Trixie Belden! I still have the whole set. I bought them with my own money and couldn’t wait for the next one to come out! I have all but 3!!! I loved the biographies series our school library had. Don’t have any idea what they were called but they were blue with orange titles. I devoured those things. I love Cherry Ames too! I never read the books, but watched the mini-series on PBS, and it made me cry! Was there a different series of Boxcar Children? Reader’s digest started reading as my hobby, but my first book was CHOOSE YOUR OWN ADVENTURE. I loved Nancy Drew as well! I’m not old and I loved her! I read that series…it was great! All of a Kind Family series by Sidney Taylor. Very few people have ever heard of these books though. Forgot about them. Absolutely LOVED them. I loved that series! Reordered the whole set when I received a Barnes and Noble gift card from my students! I remember the little girl’s name was Phronsie. That’s all I remember about the books but I loved them. Betsy-Tacy. Oh, wait…”Little House” series. Bobbsey Twins. All of a Kind Family. I can’t pick!!! I LOVE betsy tacy!!!!!! and all of kind family!!! Did you read trixie belden? Goodness! Another servies I forgot about. Loved them as well. No, I never read Trixie Belden. I guess I missed something! I read him as an adult after I saw the PBS series. I think I have read them twice. Little House, Chronicles of Narnia, and Boxcar Children. Little Women and Little Men when I was older. Alfred Hitchcock and The Three Investigators series. I love mrs. Piggle Wiggle- ann m martin wrote a new one! Those are my three as well. I’m going to have to start following what you’re reading! Jessica, hmmm, I wonder what it took to get the rights to do that? Kari, the original Mrs. Piggle Wiggle was written by Betty MacDonald. I’m wondering about another author using the character. Encyclopedia Brown. Still one of my favorite series and I’m in my 40s. 3rd grade… Bobbsey Twins and Honey Bunch and Norman… 4th grade Nancy Drew. There were 40 books back then in the 50’s..she wore frocks and rode in roadsters. 5th grade.. Lantern In Her Hand.. Then on to Agatha Christie. Nancy Drew! And the Hardy Boys! Mary Ann? I went to her home with Alonzo in Mansfield MO. Her kitchen looked like it was built for a child’s playhouse. She was so tiny! Kari I have always wanted to see it. The opposite of Julia Child’s at the Smithsonian – she was a giant. I forgot about Trixie Belden. They were my Mom’s. Didn’t read her until I was an adult. Read the entire series. Loved it. Kingdom of Carbonel & Carbonel, king of the cats by Barbara Sleigh. Glad to see Mrs. Piggle Wiggle mentioned on here. I could not get my nieces into them. Not technically a series ,Shel Silverstein was my absolute fav . Little House on the Prairie, Little Women, Heidi, Pippi Longstocking, The Borrowers, Cherry Ames, Chronicles of Prydain, The Dark is Rising, all of Madeline L’Engle’s series, John Carter of Mars, and a turn of the century series about three sisters that I would love to find. Oh, I’m going to have to check out The Borrowers! I do not like fantasy, but the “Borrowers” were an exception. I forgot Betsy Tacy and Tibbs. Nancy Drew-got the whole collection in hard cover one Christmas-such excitement! Little house!! And The Bobsey Twins!! I am sure I show my age with that one!! I read The Bobbsey Twins! Now I have all the stories on my kindle. Other than Dr. Seuss, the Bobbsey Twins was the first series that I read…..from then on I was hooked on reading! The Green Knowe series by Lucy Boston, especially the first two books. Pippi long stocking, famous five, secret seven, worst witch, Roald Dahl, Narnia, earth sea, farthing wood, point horror, goosebumps, Adrian mole, puddle lane, black beauty, Heidi, little women, sailor moon. Probably Narnia. 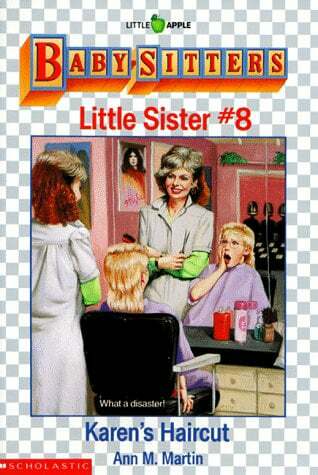 I don’t think I read a lot of series, but in like 1st and 2nd grade I had and read a bunch of Sweet Valley Kids books. I read some Baby Sitters’ Club, too, but never collected as many BSC books. I didn’t read A Wrinkle in Time until sixth grade and only had that and a Wind in the Door, but I would have read the rest of those books if I’d had them. I think I read one book from The Chronicles of Prydain in sixth or seventh grade and probably would have liked them a lot if I’d read them earlier and had access to all the books. I was a Tamora Pierce girl too – The Protector of the Small was my favorite! Paddington Bear! I’m kinda sad and shocked that in a list of 300 comments, no one else has mentioned Paddington. My all-time fave! RIP Michael Bond. OMG! I’m so ashamed! Yes, I totally read Paddington! I wasn’t a reader as a child, but I did love Goosebumps and Choose Your Own Adventure!!!! I’m old. Helen Fuller Orton mysteries. There were tons of them. Later, Sue Barton, nurse books. Seriously??? I almost NEVER run into anybody else that read them. Love, Love,Love that series when I was younger! I would buy them all up now if I could find them! Funny thing is I used to think they were written by Alfred Hitchcock for a long time. Didn’t realize that he wasn’t the author for quite a while when I first started reading them. Nancy Drew for a series…The Secret Garden for an individual book. Bobbsey Twins, Happy Hollisters, All of a Kind Family, Five Little Peppers, Little House books, Betsy Tacy and Tib, Ramona and Beezus, Beany Malone…I guess you could say I loved to read even when I was young! It’s like we are twins! All my favorites. I know that by these titles I am dating myself, but they were true classics in my opinion! Forgot to add Louisa May Alcott, Ginny and Geneva, Cathy Leonard, the “shoes” books: Ballet Shoes, Theatre Shoes….a series I think from England, Mary Poppins, Pippi Longstocking. Never read Anne of Green Gables but I have the first one to read as an adult on my night table. My next door neighbor had the entire Hardy Boys series from the 1950s. We read them over and over all summer long every summer. Raggedy Ann and Raggedy Andy..my first book binge. I loved the Little House Series, Pippi Longstocking and a series called The Boxcar Children. I forgot about Cherry Ames! Babysitters club, I was obsessed. Mouse and the Motorcycle is what first comes to mind. Susan Cooper’s The Dark Is Rising Sequence. Also The Children of Green Knowe. This comment thread is making me want to rediscover tons of books though — so many wonderful memories! Did anyone read Stacy and Friends? The Oz books..”The Wizard of Oz”, “The Emerald City” , etc. The Little House Books, The original Nancy Drew books, and the original Boxcar Children. That was my answer, too. I also LOVED Terry Brooks’, Shannara Trilogy. Paul I’m reading David Eddings again and still enjoy him as my favorite fantasy author. Just recently read, The Redemption of Althalus, and LOVED it…. Ill look into that author, also. Terry Brooks and David Eddings kind of spoiled me. Thanks for the recommendation. I haven’t seen any mention of the Moonim books by Tove Jansson. They were some of my favorites. Ann of Green Gables/Ann of the Island. Nancy Drew. I read, Anne Of Green Gables, as an adult. I’m sure it would have affected me, if I’d read it in my childhood. Kathi I have a Lily Anne for my love of the books 📚. Loved those. Worked my way through all of them, plus the sulky racers and the The Island Stallion, and even the zebra! Loved them all! Anne of Green Gables & The Babysitters Club. I read a lot of Nancy Drew. Amanda so did my mum. She said they got to do fun things. She was so disparaging of drew, I didn’t bother. hmmmm. seems pretty popular! I saved every month to buy another at the dime store. I think they were 79 cents. Lol. 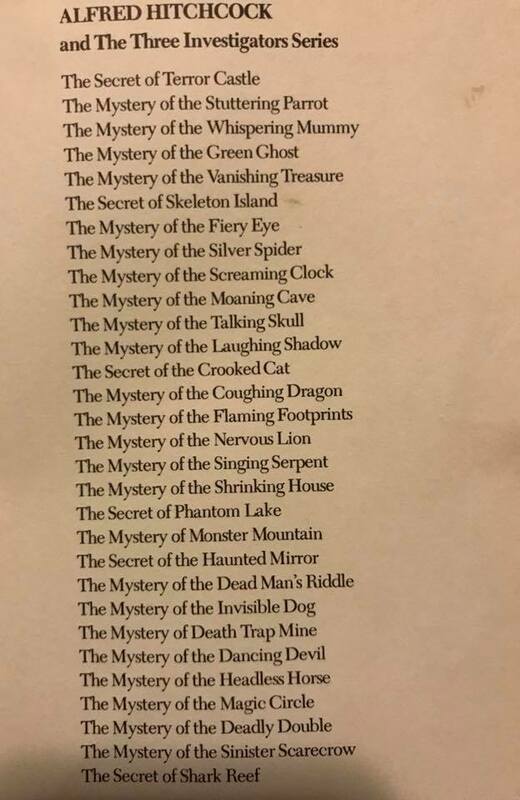 They were mysteries for kids elementary school age. I also loved Little House on the prairie. And the Curly Top Twins for me. Wow I remember Flowers in the Attic. I read it when I was 10 and kept rereading the series every so often for a few years. The movie was …terrible! Wow! you just brought back some memories! I loved those books even though I was older when I read them. I was like 11 or 12. Marija I was older than that when they came out. I think I was in high school. I read them all one summer. Harry Potter – I was in my 30’s and 40’s!🤣 Seriously, the only thing I can remember reading more than a single book was the Mary Poppins series. It’s been a long long time and many many books since then. I do know that I never cared for Nancy Drew. I’m kinda an odd duck that way! I read them in my 50’s & 60’s! Loved them all! Now my granddaughters have read them and we’ve been to Universal Studios to the Harry Potter part. Loved Mary Poppins too. Leslie – I’m jealous that you’ve been to Universal Studios…I hear it’s amazing! We went when we were still living in Florida…special rates for FL residents. It was truly amazing! The girls were in awe! Even my daughter (who has not read the books) got really into it! The Hogwarts Express was so realistic it made you want to GO to Hogwarts!! Nancy Drew, Cherry Ames, and The Happy Hollisters! I’m showing my age. Nancy Drew and Encyclopedia Brown. The little House in the Prairie series by Laura Ingalls Wilder! Every one of Walter Farley’s horse books and Marguerite Henry’s ‘Misty of Chincoteague’. I was a typical horse crazy tween! I wanted to write to at least one of the ghost authors to tell them how much I enjoyed the series, but alas, they’re all passed now. Steven would love to run across a collection of this series! When younger I had a decent start of a collection but they were lost in a house fire. I got a whole bunch on eBay a couple of years ago – if you do a search under “3 (or Three) Investigators – bulk lots” I’m sure you’ll find something. Tricia going through that list I’m pretty darn sure I’ve read every single one of those. I actually think I’ve got that exact list somewhere also. Not sure if it was from one of the books or from doing a search at some point. Brings back memories for sure! It was in the back of one of the books 🙂 I loved them so much when I was young!! Tricia I made and carried around my own little business cards that had the ??? on it. I forgot about these! I liked them too. I got into them when my teachers showed the animated version. I learned early the book is better than the movie. Cherry Ames is listed here more often than I expected. I borrowed them from my girl scout leader 50 years ago, and didn’t know anyone else who read them. Catherine Abe Lincoln and I shared a candle when we read!! I agree Linda…I’ve been reminded of long forgotten books but I’ve always remembered the ones that inspired me to keep reading! Dark is Rising by Susan Cooper! Betsy, Tacey and Tib – every one of them! Hmm. Read all of Nancy Drew and Cherry Ames. Also loved The Borrowers and Edward Eager’s books. Maurice Sendak’s pocket library. ” chicken soup with rice. Pierre, etc. i ( embarrassed to say ) loved the Anne of green gables, gobbled them all up. Why embarrassed? They were excellent and well written. I did not discover them until I was an adult. Loved them! i did the whole little women series. I remember the first 2. I think I slogged thru the rest, zombie like, for the library summer reading program. Lots of people have mentioned Anne of Green Gables. I loved Anne but there was another book by the same author that I seem to be the only person who ever read it: Emily of New Moon. was that not part of the series? No. It was its own 3 book series. I don’t remember any connection. I remember Emily of New Moon. And there were other books by L.M. Montgomery besides those 2 series. The Blue Castle is another by her, and it’s lovely! One of my favorite books. Many people say Emily is even better than Anne, but I don’t think Anne can be topped! I so wanted to be her! I loved Emily of Nee Moon! Your parents probably kept it from you on purpose lol! Oh I know! How did we grow up to be such cool women. We also read a series with my son called Beastquest. A very easy light, non scary fantasy series. After that we did the Rangers Apprentice series but that’s probably later elementary, or middle school level. What age for Beastquest please? I think early elementary. It’s easy chapter books so some kids read on their own but we read them to my son. The author is Adam Blade. Nancy Drew, but The Wizard of Oz was my favorite book. The Moomintroll books by Tove Jannsen. There was a series in our library about famous people (Clara Barton, Thomas Edison, Florescent Nightingale, etc.) They had blue covers. Also liked Black Beauty. I read those too! You jogged a memory for me! Thanks. I remember those little biographies too! Ours were orange though. I read all our school and public library had. Clara Barton and Nelly Bly were my faves. Thanks for the memories! I read those too! Loved them all. Did anyone read The Blue Fairy Tale book, and lots of others with colors? oops, Tale should be Tail. I loved them – read all the colours I could lay my hands on! Found one on kindle (green I think) a few years back – some of those tales were very dark! 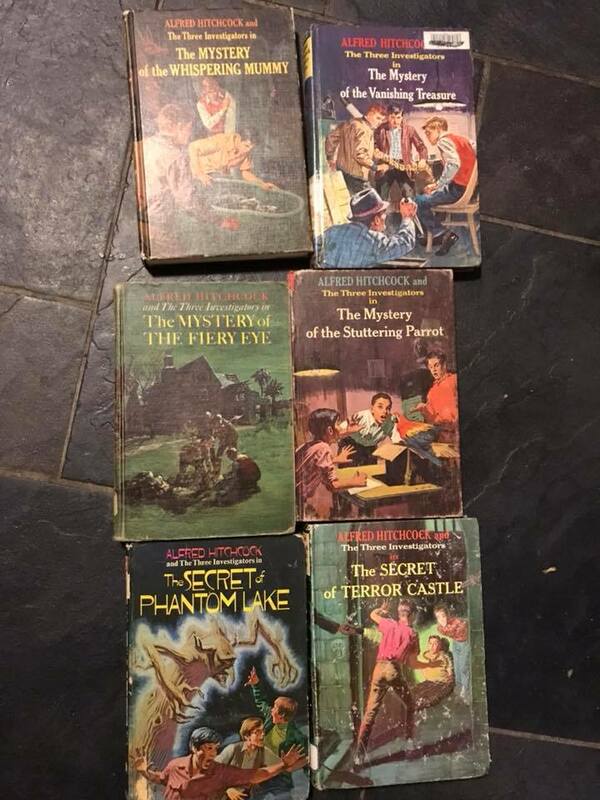 Nancy Drew, Little House, Five Little Peppers..,Judy Bolton, Trixie Belden , Cherry Ames, a lot of the formula series. Most were written by the same author, different names. Ramona Quimbly and Little House on the Prairie. When I got a little older: Sweet Valley High, Babysitters Club, Encyclopedia Brown. Anyone remember the Boxcar children? Not as a reader, but as a teacher with students who devoured them, and some still do. YES!!! those were my absolute favorite ad a kid!!! Loved the series when I was young. Little House on the Prairie. The babysitters club. I read the Narnia books by C.S. Lewis over and over again, so that was probably my favourite series until I was ten or eleven. Then I discovered the Jennings books by Anthony Buckeridge, which I loved, they are so funny.